The friendly staff at McNeil Orthopedics in North Easton, Massachusetts, welcomes your call and looks forward to serving you. If you have any questions about our orthopedic services, please call our office at (508) 205-9630. To schedule an appointment, you can call us or use our convenient online appointment request form. We are conveniently located on Route 138, next to Roche Brothers Plaza. Our regular office hours are Monday through Friday, 8:30 am to 4:30 pm. In the event of a life-threatening medical emergency, call emergency medical services at 911 immediately. DO NOT WAIT! Inform the emergency room staff that you are a patient of McNeil Orthopedics and they will contact us. If you have an urgent medical need and need to talk to our doctors after our regular hours, please call our office at (508) 205-9630. A doctor is on-call 24 hours a day. Your call will be returned promptly. At McNeil Orthopedics, we accept most major insurance plans. Please contact your insurance company or you may call our office at (508) 205-9630 to find out if we accept your plan. If we are a participating provider for your insurance company, we will bill them. However, payment is the patient’s responsibility. We will help in any way we can to assist you in handling claims. We make every effort to decrease the cost of your medical care. Therefore, we request payment arrangements for all office services at the time they are rendered unless prior arrangements have been made. If your insurance plan requires you to pay a co-payment, co-insurance, and/or a deductible, you will need to pay at the time of your visit. For your convenience we accept Visa and MasterCard. If you have a question related to your bill or insurance, please email our billing specialists at billing@mcneilortho.com. Office Visit: If your insurance is an HMO/managed care plan and you are required to obtain a referral from your primary care physician, the referral must be obtained before you can be seen for an office visit. 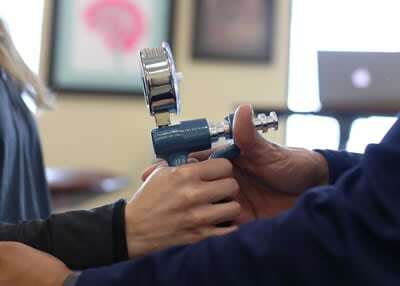 Physical Therapy: You will need a referral from your physician or medical provider (primary care doctor, nurse practitioner, orthopedic surgeon, podiatrist, chiropractor, etc.) for insurance to pay for your physical therapy treatment. McNeil Orthopedics will accept an initial referral by fax, by phone, or by email from your provider, and we will obtain the needed signed prescription within days of your referral, or you may bring the signed referral form with you to our office. Please request all prescriptions and authorizations for renewals Monday through Friday between 9 am and 3:30 pm, when our full records are available. Renewals requested at other times will be filled only for extreme or emergent circumstances. Please call the office to request a prescription refill.